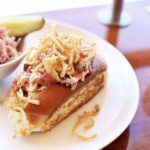 With so many waterfront dining options in Newport, eating a lobster roll is a must! In the event that you’re not sure where to go, we’ve rounded up a few of our favorites. There are a few things you must know. Firstly, are you allergic to seafood? If so, stay away! We have lovely friends at Newport Hospital, but that’s not where you want to spend your vacation. Secondly, are you into warm or cold lobster rolls? Warm lobster rolls are served simple, undressed if you will, with warm butter on the side. On the contrary, cold rolls are served with lobster salad. Lobster salad is typically a mix of chilled lobster meat, mayonnaise, and a blend of seasonings. So are you hot or cold? Make up your mind! One of the fantastic things about Newport is that nothing is too far. Jump on our available bikes here at the Marshall Slocum Inn and head to Easton’s beach. 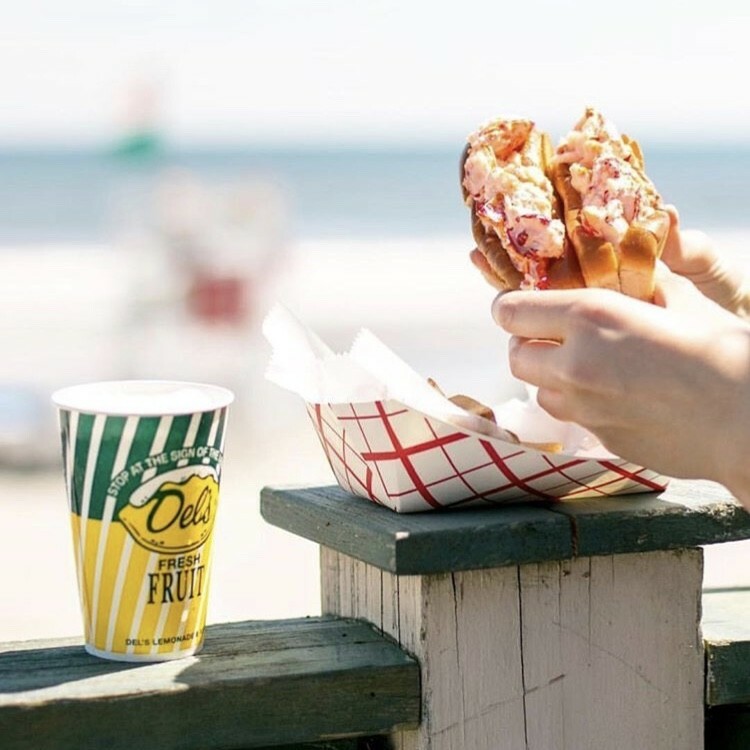 The Easton’s Beach Snack Bar has become known for their twin lobster rolls which pair perfectly with a cup of Del’s Lemonade. If you weren’t able to guess by the name, Lobster Bar is a relaxed haunt serving up all kinds of seafood! 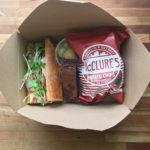 Their lobster roll is served with classic potato chips, warm or cold, and can even come as a club wrap! If you’re really feeling grizzly, they also have a sirloin served with poached lobster as a topper. With many beers on tap including Narragansett, you can’t go wrong. Save the best for last! If you happen to score the prime real estate (Adirondack chairs on the lawn at Castle Hill), park yourself there. Next, order a lobster roll and Aperol spritz. You will be served lobster mixed with tarragon-crème de fraîche then topped with onion strings on a roll, with a side of kettle chips and Cole slaw. 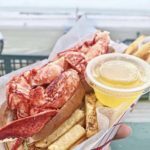 You will be craving this lobster roll in the frigid temps of February! 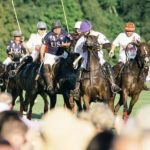 Attending Newport Polo is a quintessential part of any good weekend in Newport! As the host to many international teams, every season promises healthy competition and enthusiastic spectators. As a matter of fact, we bet you will even find your favorite team rivalry! Seeing that the official website states the dress code is “Newport Casual Chic”, you better pack your sundress, wide brimmed hat, or brightest pastels! Another key point to remember whereby grass grounds are involved, heels sink! Ladies, please stick to wedges or flats! As the sun sets on the second half of the match, you will surely want sunglasses or a nice hat to shade yourself. Additionally, you may even want a light sweater. 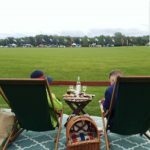 The picnic aspect of polo is one of our favorites! You can be as laid back, or as fancy as you’d like. Some people bring lawn furniture, outdoor rugs, and tables to really set up camp. Others call it a day with a blanket and a cheese board which is equally acceptable! Close to the Marshall Slocum Inn there are many places nearby to pick up your accouterments! 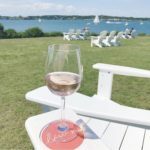 Some of our favorites include the Picnic Cafe on Bellevue, Newport Wine & Cheese, and Newport Vineyards. Not to mention, don’t forget your bottle of chilled rosé… you wouldn’t want to be caught looking like a fool! In addition to lawn seating, the polo grounds also host pavilion seating as well as a modern luxury polo lounge. Provided that you love your polo experience, take your team spirit one step further and purchase a season pass! For more information on pricing and a map of the grounds, click here. 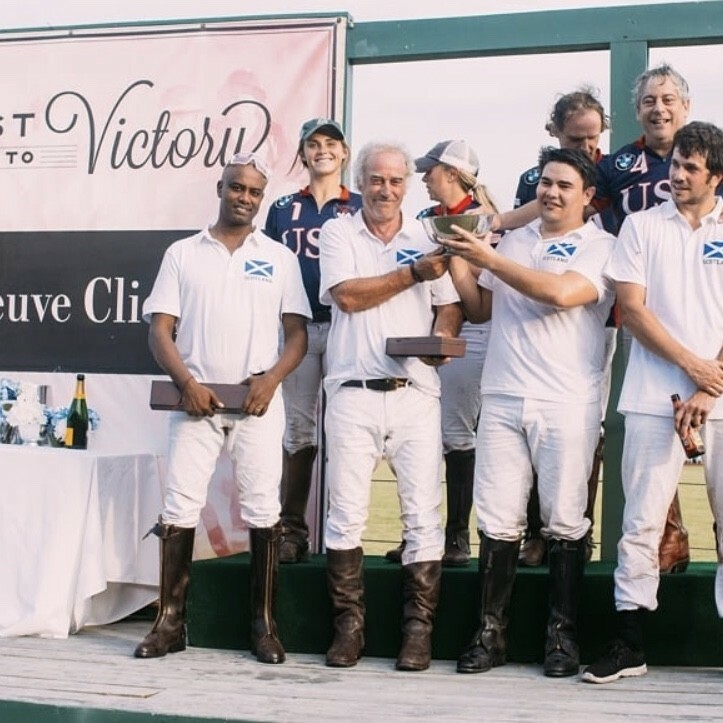 As the host of America’s first polo club, Newport Polo really does it right! Every match starts promptly at 5:00PM. With this in mind we’d like to point out, don’t be the guy who shows up “fashionably late”. After all, there is no such thing! Standing at the beach with the sand between your toes is a feeling we wait all winter for! 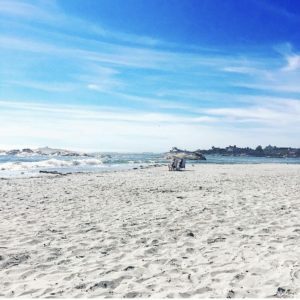 One of the things that Newport is allowed to brag about is our beaches. There are a few tips to having a successful beach day that we will share below, and where to go! Additionally, before you head to the water you must be prepared. Some essentials are sunscreen, a good pair of shades, a bathing suit, beach towel, and perhaps a chair. Around town some of our favorite places to stock up on these goods are Island Outfitters, Island Surf & Sport, and Balance on Thames. 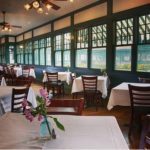 With our central location in Newport, the Marshall Slocum Inn is close to many of your salt water options! Easton’s Beach is within biking distance from the Inn, or you can drive and pay $10 on weekdays, and $20 on the weekends. For more information about Easton’s, click here. This one mile stretch of sand provides a family friendly environment, and a good surf! With a concession stand, changing area, bathrooms, and outdoor showers, what more could you ask for? If the heat gets to you, visit the Del’s Lemonade truck to cool off. If you’re feeling brave and up for a challenge, surfboard rentals and lessons are also available. 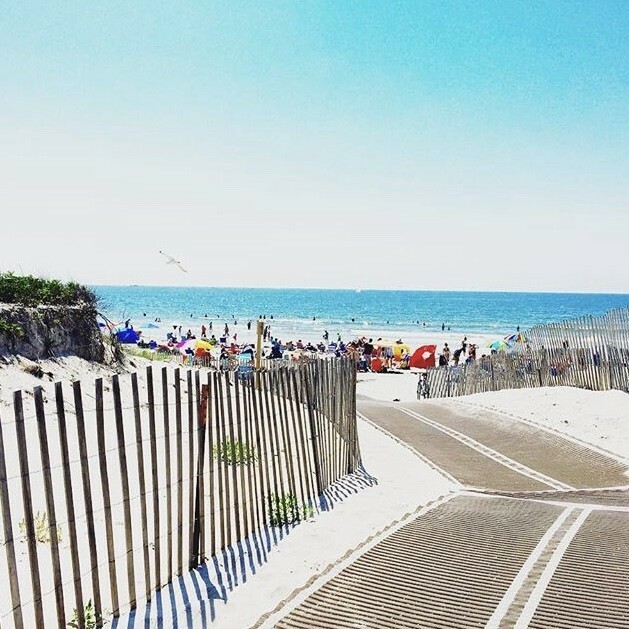 We suggest getting here early to beat the beach traffic! For parking you will pay $15 on weekdays, $25 on weekends and holidays. Equally as family friendly, and right down the road from Sachuest! Third Beach has less waves and overlooks the mouth of the Sakonnet River. Even though there is no surf, you can still indulge in Del’s Lemonade and Stand Up Paddleboard rentals. If you are meeting friends with children there, win them over by taking them to a well known local spot, “Crab Town” at the far end where you can fill a bucket full of crabs! For more information on Sachuest and Third Beach, click here. Many “Newporters” work hard to keep our oceans clean for ourselves, the animals who call them home, and those of you who choose to visit our favorite place. Because of their efforts, time at the beach is something we all look forward to! Making memories with friends and family, working on our tans (while wearing sunscreen), and spending the time connecting with the ocean is what summer here in Newport is about. If you’re interested in any of these local projects check out Save The Bay, or Clean Ocean Access. Stay cool and remember, no one likes a shady beach! 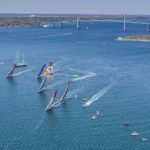 The 130,000 sailing spectators who passed through Newport’s Race Village in 2015 were certainly pleased to see the calendar of events for this year’s stopover. This year will deliver the same amount of excitement and fun that we have come to expect! Combining a trip to watch world class sailing and experience the beauty of our “City By the Sea” is the perfect kick off to Spring. 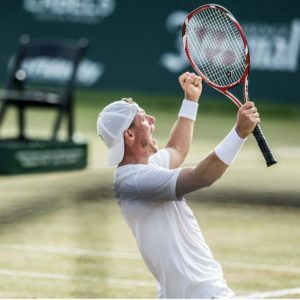 Uniquely, this event combines sport and education in a way that is captivating for all ages. Sailing on! What to do, What to do? Furthermore, will you have time to do it all? 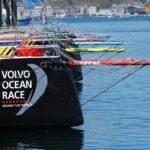 The Race Village set up in Fort Adams for the Volvo Ocean Race has something for everyone. Although there is a fee to park your car May 17-20th, there are no additional fees to enter the village. 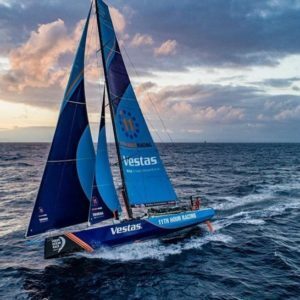 Interactive exhibits set up by 11th Hour Racing highlight ocean sustainability, the excitement of marine science and sailing recreation. The idea of the Clean Ocean Pledge is reinforced to inspire all of us to save our oceans. After all, what is Newport without the Narragansett Bay? Sail Newport, a local organization, is running a “Try Sailing” program to help everyone learn the ropes. There is a 65ft replica of the boats these sailors travel on around the world to help us gain perspective on life at sea in tight quarters. 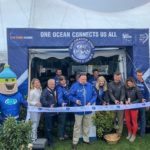 After checking out the boatyard to gain knowledge of the work that goes into preparing a boat for a trans-Atlantic race, you can visit the Heineken beer tent, Mount Gay Rum Cafe, or Whispering Angel garden to top off the day. As mentioned above, there is no entrance fee to the Race Village. If you arrive in a Volvo, the cost of your parking fee will be covered by Viti Automotive Group. The rest of us are out of luck! Parking during the week is $10 per day, and $20 per day on the weekend. There are numerous bike racks provided free of charge if you’re up to the challenge of jumping on the bikes we have here at the Marshall Slocum Inn, just be sure to bring a lock! The water taxi service from Newport Harbor to Fort Adams has additional boats in service for this 13 day event. The cost is $12 round trip and a schedule can be found here, Oldport Marine Services. One of the most exciting events of the stopover will take place on Saturday, May 19th. There are options to watch the race from Fort Adams, the Ocean Race Club, or even to jump aboard the Spectator Boat. Check out the official site here for more information. Wherever you choose to enjoy the race, we hope you take the opportunity to experience this event. It is surely one of the more educational events we see here in Newport, riddled with some good old salty fun! Picnic Season In Newport is Upon Us, Pack Your Baskets! A seaside picnic is the perfect way to spend a sunny afternoon! 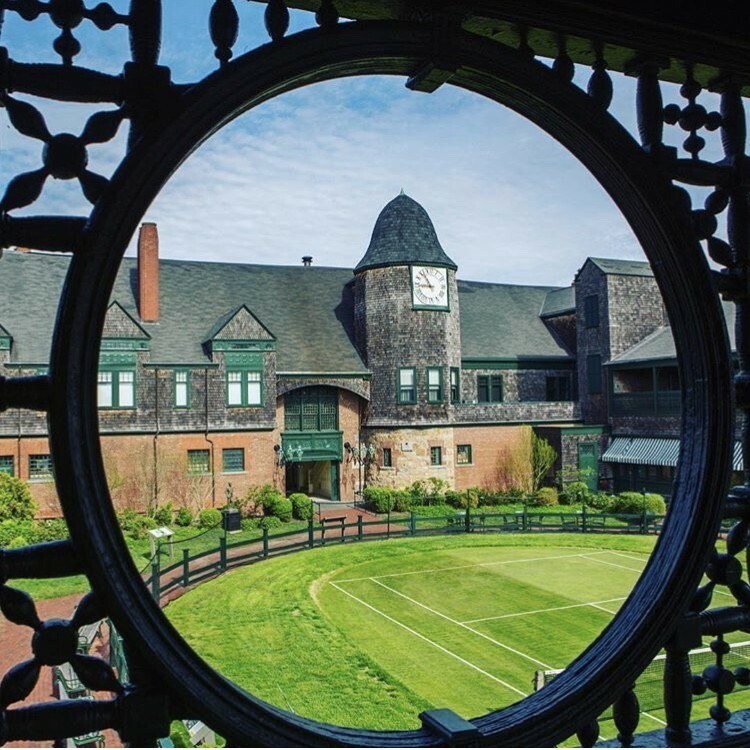 With so many beautiful spots around Newport we have a hard time highlighting just a few of our favorites. No matter where you plan on taking your lunch, we all know it’s what in the basket that really matters. Over at Newport Wine Cellar & Gourmet they have got you covered! 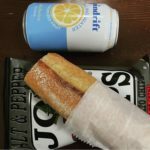 Their unique menu boasts the “Ooh là là” and their petit sandwich selection (which changes daily), always making it a hard choice. If you are into gourmet sandwiches, a fresh salad, or a cheese board made from local ingredients you can’t go wrong. While you’re there, be sure to pick Maria’s brain about some of her favorite wines. In addition, she will surely help you pick a bottle of wine or craft beer to add to your picnic basket, just in case you get thirsty! Important reminder friends, don’t forget a corkscrew. Being that Newport is part of an island, there is no lack of precious water views. 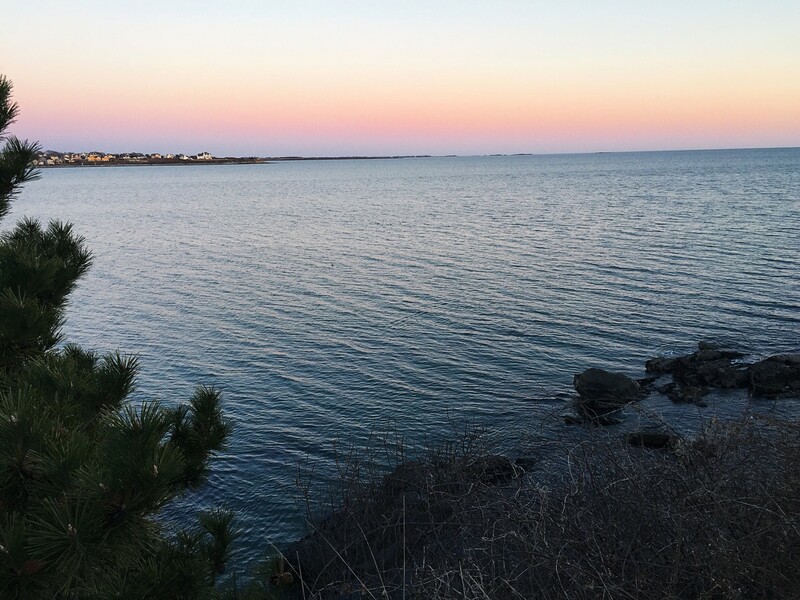 With this in mind, one of our favorite views is at Brenton Point around Ocean Drive. You will often find people flying their kites high in the breeze creating the perfect back drop for a picnic. If you search hard enough, you might even be able to find what locals refer to as “secret beach”. Once you’ve finished your lunch, you can treat yourself to the Del’s Lemonade truck that is often parked nearby. One of the best ways to get around Newport while avoiding traffic is by bike! As a matter of fact, we even have them here at the Marshall Slocum Inn available for daily rentals. You will notice there are many people traveling by two wheels here when the sun is shining! 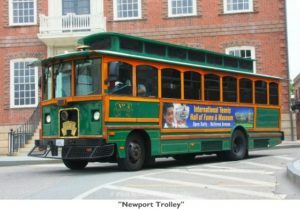 On the contrary, if that doesn’t sound appealing to you Newport has a wonderful trolley system. The closest trolley stop to us if on the corner of Bellevue Avenue and Kay Street, and will take you by some great picnic spots along The Cliff Walk. We are firm believers in packing it up, and taking outside in this beautiful city of ours. Grab your sunglasses, you’re in for a hopefully sunny and bright afternoon! 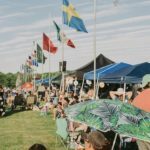 Posted in Historic Newport, Newport Seasons, Uncategorized | Comments Off on Picnic Season In Newport is Upon Us, Pack Your Baskets! Newport may be known as a summer seaside town, but weekend trips in the “off season” are just as charming! The best thing about New England is that we truly get to experience all four seasons. 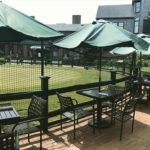 Accordingly, a weekend getaway to Newport in March at The Marshall Slocum Inn allows you to experience some of your favorite places without hustling through the summer crowds. The feeling of serenity sinks in as you drive on to the Aquidneck Island over the bridge, passing over the water and knowing you have finally made it to Newport. Let Mark check you in, and settle in for a great weekend. 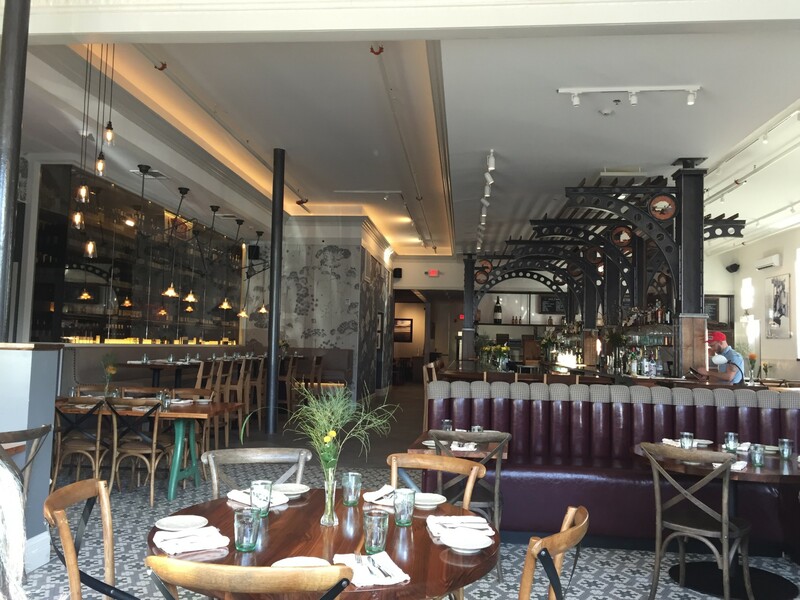 One of the newest tables in the neighborhood that we can’t get enough of is at Stoneacre Brasserie. Trust us, you’ll be able to see why when you view their menu. 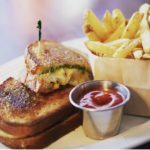 Whether you are looking to share some small plates or grab a cocktail, this is where you want to be. Their simple syrups and mixers are made in house, making their Dark & Stormy one to remember. At the end of the night, don’t forget to ask if they have any chocolate chip & sea salt cookies left! Newport has so many activities to offer on the weekends. As a town with a major focus on health and wellness there are many studio classes available, which are a great way to kick off Saturday morning. Pulse Newport is a great place to check out studio classes including barre, rowing, and boot camps. If those don’t sound up your alley, Newport Power Yoga is a wonderful place to get in touch with your inner yogi. Luckily neither of these locations are far from Empire Tea & Coffee. The baristas at Empire are knowledgable in their craft. They will send you out the doors properly caffeinated! Come on back to the inn to freshen up before heading out to explore. Checking out the Newport Art Museum or Audrain Automobile Museum are great spots to take advantage of in the winter months. Once you’ve worked up an appetite, head on down to Salvation Cafe. Not only is Rachael Ray a fan of this fantastic restaurant, we are too. You can’t go wrong with anything on the menu, but the salmon is a personal favorite. Served up with coconut rice and crispy spinach, you will certainly be able to clear your plate. If you’re looking for a morsel of sweetness after dinner, indulge in the “banana purses” served with ginger ice cream. You will NOT be sorry. After dinner check out a featured film at the Jane Pickens Theater, a local art house cinema with a sense of style based on history. Sleep in and then join us downstairs for breakfast and a hot cup of coffee! After breakfast head towards Newport’s Cliff walk, a unique and world famous walking trail along the cliffs. This trail passes gilded mansions, Salve Regina University, and the Ruggles Avenue Surf Break. Depending on your level of ambition, you can take the full trail around Rough Point or you can pop off on one of the side exits that steer you back towards town. You may have earned a mimosa or two after this! Grab a hightop table at Midtown Oyster Bar and indulge in some libations and “torched oysters” while you take in the Sunday energy, and join other fans watching sporting events on the flat screens behind the bar. Once you check out and are heading over the bridges, you’ll be experiencing a much different feeling than when you arrived. Something referred to as “The Sunday Scaries” as your weekend comes to an end, but don’t worry. We’ll see you again! All the little things that locals and tourists look forward to during the Fall in Newport, RI. Pumpkin patches, apple cider, autumn beer, local farmers markets, and Halloween events are all part of the local feel here. The Newport Aquidneck Grower’s Market happens every Wednesday in Newport right of Memorial Blvd from 2:00pm to 6:00pm. It is not easy to miss because you will see families, dogs, and much more. The music will draw you in and make you want to participate. The farmers market will give you an idea what to expect in Newport. The gourmet tacos, ice cream, and local fish are some of the ideas. 30 vendors and products within 50 miles. Norey’s Restaurant is keeping apple ciders from all around the world on tap. Served between 4:00pm to 1:00am everyday except Sunday. The ciders are gluten free and definitely agree with Norey’s that they are “the perfect drink to usher the fall”. Newport Storm Brewery and Newport Distilling are producing haunted tours at their facilities. “Get Trapped” between 7:00 and 10:oopm for $15.00 on October 27th through October 29th. Of course there will enough fright, craft beer, and themed cocktails for everyone. 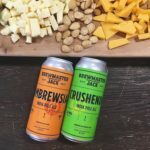 If you are too scared for the tour, Newport Storm has their fall beer produced at their facility starting on October 14th. Trinity Church in Newport are selling pumpkins, which is pet and children friendly. The Trinity Church Pumpkin Patch is open every day through Halloween. Live music on Saturday’s and Sunday’s with refreshments. Popcorn, cider, home-made goodies, and hot & cold drinks are available during the weekend. There are all shapes and sizes of pumpkins to choose. Even mums, decorative cabbages, and gourds will be for sale. This event will be picture perfect for the fall season. Costume Parade! Get your best outfit together and be on the patch Sunday, October 29th at 1pm!